If you run a business, government agency or an organization, you know the importance of your web presence. The ever-changing world of technology and communication has created a challenge for you to try to stay current. 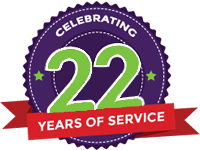 For 20 years, ArkansasWeb.com has been providing web design, programming, hosting and consulting services from our office in Little Rock, Arkansas. We are big on service! If you’re accustomed to waiting hours or even days for contractors to return calls or emails, prepare to adjust your expectations. At ArkansasWeb.com we give each client and project the same individual attention and prompt responsiveness they deserve. Frequent updates and reliable support are the hallmarks of our business. Effective web design is essential for all businesses. We provide our web services and consulting to a wide variety of clients spanning a range of industries, from online retailers to small non-profit organizations to service companies. ArkansasWeb.com has the expertise and experience to ensure the trouble-free and effective management of your website – from conception to ongoing management. Our team, is highly professional and committed to the highest standards. We have been in business for over 20 years and produced over 1000 websites in our history. Enough about us—what’s your story? Fill out our Quote Request Form and one of our team members will contact you promptly to discuss your project needs.